The RI Auditorium was packed to the brim, with many having to resort to the stairs and even the floor just to watch the performances. They were there to catch Dancefeste 2013. With 5 houses giving 2 performances each, the audience was understandably excited. They were not disappointed. Several performances worked to tell a story with their dances – one made use of moves and music to tell the story of a troubled relationship – reeling the audience in and appealing to their emotions. Others, went with hilarity – one featured Kanye West’s memorable interruption of Taylor Swift, and another featured two dancers wearing pants over their shirts and shoes for hands. Not just creative, the dancing on the night was brilliant. “Many of the dances were synchronized so well, they were like an Olympic synchronized swimming team!” said Giam Jia Hao (13S06M). The dedication and passion from countless hours spent rehearsing certainly showed on stage. 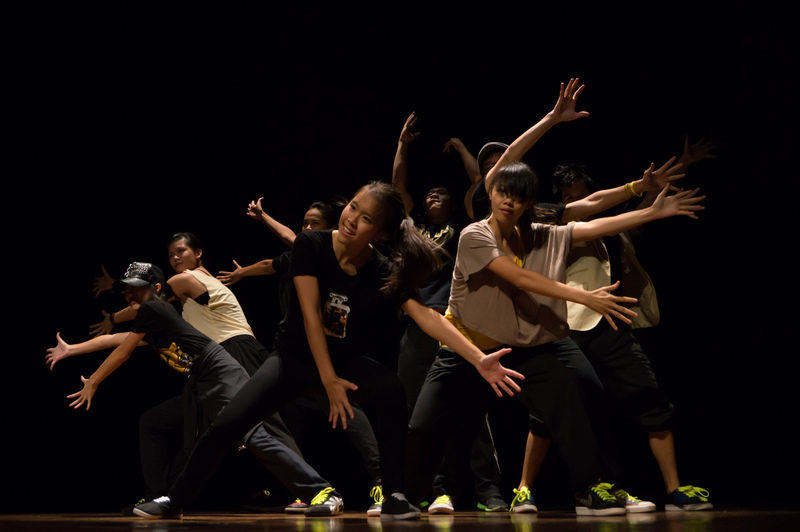 Michelle Lim (14S03P) said:“The dancers were elegant and entertaining, engaging and exciting. But to me, what mattered more than the sleek moves was the obvious effort that was put into the routine! Yet, participation in Dancefest is not just for dance aficionados. Joel Tang (14S06A) and Derrick Tang (14S07B) from Hadley-Hullett, had no experience in dancing, let alone performing. When asked why they signed up, they both agreed that they thought signing up would be a fun idea. “People who signed up (for Dancefest) before said that it was exciting, so I decided to try it out for myself and true enough, it turned out to be really fun,” said Joel. With no prior experience dancing, it is without question that the rehearsal process would have been much more challenging for them. Joel said the experience was “intimidating at first, seeing all the other dancers moving naturally. It was quite scary too, but the process proved to be really fun.” When it came to getting on stage, Derrick recalls how “the large crowd seemed daunting at the start but performing on stage was really enjoyable, and I would jump at the chance to participate again next year.” Both of them also heard their friends yelling out their names from the crowd (whether in horror or surprise upon seeing them appear from behind the curtain, however, remains unknown), which Joel found “nerve-wracking and cool at the same”, while Derrick said it felt really good hearing their support. There is one final group of people that should receive as much praise as the dancers – the AV team. They contributed to the atmosphere of each performance, working their way through the fast-moving beats to match the dancers on stage. 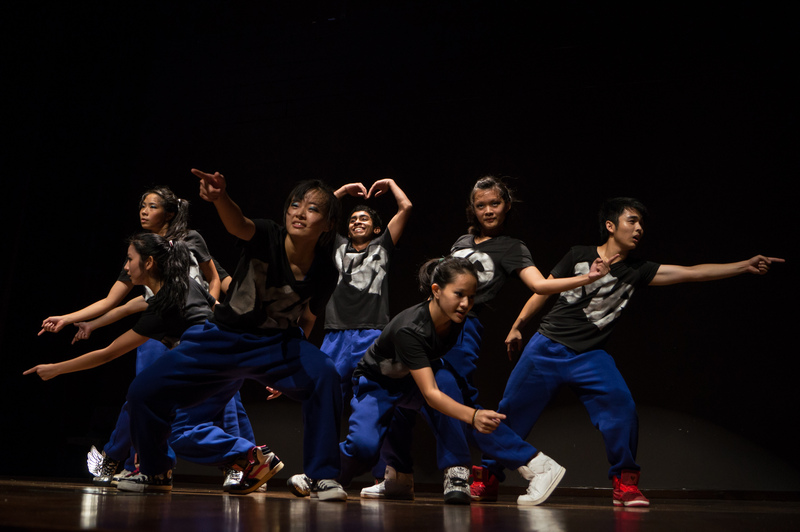 Dancefeste may have been an inter-house competition – but that didn’t mean that everyone tried to go to war with each other and deprive each other of rehearsal space. Rather, it was the exact opposite. Madeleine Cheng (14S03O) of Bayley-Waddle shared of how everyone still maintained a respect for each other, despite being in different houses, sharing speakers and the mirrors wherever possible. Even on performance night, while there still might have been an ongoing competition, it really felt like one major performance, with audience members shouting out names of whoever they recognized on stage, be it from their house or not. While awaiting the results, emcees Gan Hui Zhen and David Lee called for audience members to come up on stage and perform the IHC Dancefeste version of the Harlem Shake. It was a moment of priceless hilarity. That being said, a view echoed across the board was that Dancefeste was incredibly fun for both performers and the audience. For Zaky Askari (14S06S), “(It was) a real party and the atmosphere was exhilarating. The night was well worth it, filled with spectacular dances and mouth-watering moves.” It probably goes without saying that the event may have inspired several Y5s to consider signing up next year for the fun of it – one of whom is Zaky, who said he would definitely take part if he could. No Shoes Day: Why dare to bare?